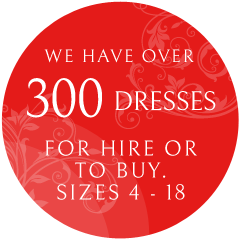 Dress Desire hire and sell evening wear for all occasions, specialising in Prom Dresses. We also stock tiaras, petticoats, shawls and more! Dress Desire hire and sell evening wear for all occasions, specialising in Prom Dresses. Proms - Balls - Gala Dinners - Cocktail Parties - Cruises - Sweet 16th, 18th, 21st Parties - Any Other Special Occasion! Also Available to Buy or Hire are: Tiaras, Petticoats, Shawls, Clutch Bags and Jewellery to Compliment Your Chosen Dress. Get in touch with us today to find out more. We will be happy to answer any questions you may have.